Indirect Water Heaters from Stafford Mechanical Services, Inc. Indirect water heaters offer efficient water heating for your home. Using your home’s heating system to heat the water, an indirect system can be a cost-effective means of providing hot water throughout your home. 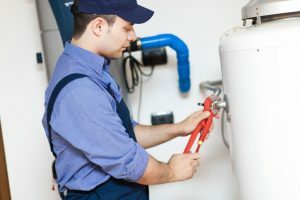 You can count on the highly trained HVAC staff at Stafford Mechanical Services, Inc. to install an indirect water heater in your home. Our indirect water heaters are of the highest quality and efficiency available. Your water heater will be installed to perfection by one of our technicians. They are fully licensed and have been trained to offer the best service and installation available. You can count on Stafford for indirect water heating now and for years to come. Stafford is pleased to offer top-quality indirect water heater systems. When you need an indirect water heater for your home, trust the professionals at Stafford Mechanical Services, Inc. to help you. You may contact us via phone at (860) 684-9485. We look forward to helping you with your water heater needs.